While young people are responsible for their own finances, we’ve made it too easy for them to borrow – and, in some cases, too difficult for them not to. So is it really their fault for getting into debt? Alarming new statistics from Citizens Advice show that 700,000 young people contacted the charity for help last year – and that debt problems accounted for 34% of all the inquiries received from under-25s. Elsewhere, recent data from the Insolvency Service shows that 7,068 people took out Debt Relief Orders (DROs) in the third quarter of 2010 – up a staggering 56.9% on the same period in 2009. These numbers show the increasing popularity of this new kind of insolvency – a ‘less severe’ form of bankruptcy that’s only an option for people with total debts of less than £15,000 and few assets. However, I think they also imply that more and more people are becoming insolvent at an earlier stage in their lives. The idea that large numbers of people my age are going bust chills my blood a little. And I’m sure it makes some people’s blood boil with rage – particularly those who simply don’t believe in borrowing and instead save in advance for the things they buy. It’s easy to condemn insolvent under-30s. They must be irresponsible, selfish spend-thrifts, all too willing to splash cash they haven’t got on things they do not need. Yet, while there’s probably some truth in this, I think it’s a pretty facile explanation for a problem that is serious – not to mention symptomatic of our nation’s widespread, dysfunctional relationship with credit. Few people actually want to go bankrupt (or take out a DRO or Individual Voluntary Arrangement) yet tens of thousands, young and old, are forced to every year. 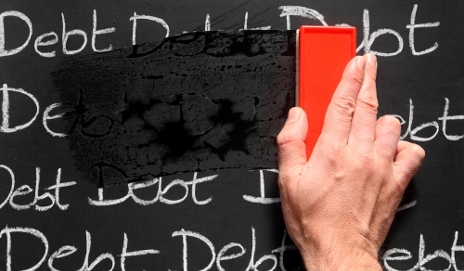 Of course, everyone must take personal responsibility for how they handle their finances. However, in many cases it’s an unlucky or unforeseen circumstance that signals the start of a downward debt spiral – redundancy, joblessness, bereavement and illness all play their part. In a difficult jobs market that’s proving particularly hostile for new graduates and the young, perhaps it’s no surprise that more and more people under 25 are seeking help with debt. Moreover, I think it’s crucial to ask questions – however uncomfortable – about why, and how, it’s even possible for people so young to rack up so much borrowing in the first place. When Which? looked into the sale of store cards in 2009, we were very concerned to find that a student who had earned less than £1,000 in that year was able to obtain credit limits totalling £2,750 across six different cards – all in just three days! This backs up my view that banks and credit card companies don’t always lend as responsibly as they could to young people. But here’s the thorniest issue of them all: when we ask – in fact, demand – that young people sign themselves up for thousands of pounds worth of debt when they go off to university, aren’t we also requiring them to accept debt as ‘inevitable’? Aren’t we implicitly suggesting that debt is a normal part of life, and something you can’t afford to worry about? Not worrying about your student loan is arguably a short stop from not worrying about your student overdraft, or your 19% AER overdraft, or those few hundred pounds you’ve got stuck on a credit card somewhere. Until we, as parents, as a whole society, take responsibility for educating young people about the differences between these very disparate types of debt, I’m afraid some will continue to drift into serious difficulty. Are £9,000 uni fees fair on students? My parents always taught me not to spend what I didn’t have and, if I had to borrow (e.g. for a mortgage) then to make sure I could afford the payments. Doesn’t sound too difficult to me. Seems it is a combination of things:- Agree -store and other credit cards should have a limit of credir not more that a year’s income. Education at the appropriate time needs to be given to children as to how to manage money and control debt. Loan sharks should be prosecuted. It would be useful if education regarding money matters could be repeated at college/ university level. How money management isn’t already part of national curriculum is beyond me. These are simple steps that the government could be taking to expose children to the reality of finance so that they don’t need to learn the hard way. Whilst Fat Sam is right, there are plenty of parents in the UK who are uneducated in money matters and need schools to be providing this information. In spite of what they may think themselves, young folk are really still children and should be protected, by enlightened parents, good schools, the law, and us. To start with, greedy bankers should be made to limit the amount anyone can borrow in proportion with their income and their other borrowings. And then greedy stores should be made to award cards, not here and now at the shop so you can conveniently endebt yourself up to the gills right away because you’ve got 10% off immediate purchases, but only after you’ve completed an application form and the store has performed a credit check, and if you are awarded a store card at all, the amount you can spend should be in proportion with your income and other borrowings. Finally, and here lies the huge difficulty, we can try and drum into everyone that being in debt isn’t necessarily desirable, normal, or inevitable. Banks have become less responsible over the last 20 years or so. That irresponsibility covers mortgages as well as the smaller loans. The stigma of being in debt has been reduced – So why should the young care. When the Banks became bankrupt – they were bailed out – If a person becomes heavily in debt why should they care – Banks didn’t suffer. I remember that my Bank Manager wrote to me as a student to demand I did not become overdrawn at all . When I bought a house it was 2.5 times my annual salary I could not get a mortgage for 3 times my salary – Until recently it was possible to buy a house for 10 times your salary. Don’t blame the youth – blame irresponsible banks and building societies.